Te overall changes for all of the 5.0 release are much bigger. But I’d like to point out (yet again) that we don’t do feature-based releases, and that “5.0” doesn’t mean anything more than that the 4.x numbers started getting big enough that I ran out of fingers and toes. The Canonical LTD has released an updated version of its long term support (LTS) Linux distribution Ubuntu Linux 18.04.02. You must upgrade to get corrections for security problem as this version made a few adjustments for the severe issue found in Ubuntu version 18.04.02. The Ubuntu LTS enablement (also called HWE or Hardware Enablement) stacks provide newer kernel and X support for existing Ubuntu LTS releases. These enablement stacks can be installed manually but are also available when installing with Ubuntu LTS point release media. These newer enablement stacks are meant for desktop and server and even recommended for cloud or virtual images. 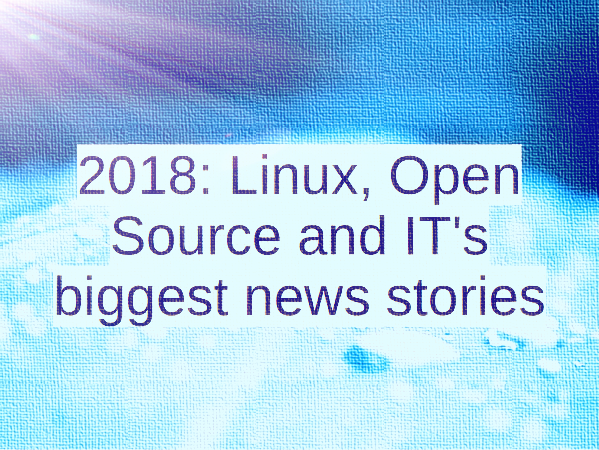 The year 2018 turn out to be big newsmaker for Linux and open source world. The most important acquisition in the open source world, Deepfakes, important security flows in CPUs, and the Facebook scandal all happened in 2018. Vivek Gite picks top 10 most significant and biggest news stories from Linux and open source world that rock IT world. Red Hat Enterprise Linux is well known to set defaults across the industry. For example, RHEL pushed systemd so hard that all other Linux distro adopted for good or bad reasons. Now Red Hat announced that KDE Plasma Workspaces (KDE) been deprecated from RHEL 7.6 and all future version of RHEL. The top 500 most powerful supercomputers on the planet run Linux operating system. Linux has a 100% market share of those machines and a large share of cloud computing, VMs, and bare metal market too. Obviously, developers and people who care about their privacy need Linux pre-installed so that they can get back to work ASAP. 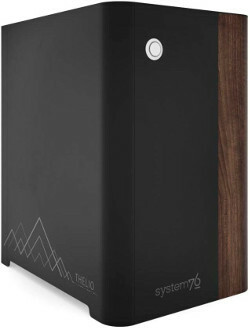 System76 released new desktop systems with Linux pre installed. The Thelio desktops computer available with both AMD and Intel CPU. AMD is more user-friendly to the Linux and provides a better price-performance ratio. Helios4 is ARM-based open source NAS SBC (Single-board computer) for Linux. This NAS (Network Attached Storage) comes with 4 SATA 3.0 port and comes with ECC memory. Let us see some details about the Helios4 Arm-Based Open Source NAS SBC and ongoing Kickstarter camping. The Debian Linux version 7 (codenamed “Wheezy”) support ended on 31st May 2018. It was initial release on May 4, 2013. Each LTS ( initial release on May 4, 2013) support lasts for five years. It means Debian project will not provide any security updates for Debian 7. As Debian Linux 7 Long Term support ends, hence you must upgrade your system to keep it secure. This page list all essentials steps to update your system from Debian 7 to Debian 8. Git is a version control system. Linus Torvalds created Git in 2005 for development of the Linux kernel. Git is mainly used for software source code management. However, it can be used to keep track of any set of files such as HTML or CSS or a tutorial written in the markup language. Git is a Distributed Version Control Systems. A dedicated Git server helps to manage access control, show contents of a Git repository via the web and manage multiple repositories. In a Git, clients do not just check out the latest snapshots of the files. They entirely mirror the repository including history. Ubuntu Linux version 18.04 LTS (codenamed “Bionic Beaver”) has been released and available for download. Ubuntu Linux is a community-based Linux distribution, and you can download Ubuntu Linux 18.04 LTS version today. The latest release of Ubuntu brings the best open source technologies together on one platform, with the benefit of free updates for five years. This newest release of Ubuntu Server and desktop heavily focused on supporting cloud computing, IoT, AI, machine learning, 64-bit ARM-based server, and more.